Данные тексты на английском входят в раздел «Страноведение. Америка». Из них вы узнаете, что представляет из себя дом американца, начиная с жилища американского первопоселенца и заканчивая современным домом. Эти небольшие и познавательные тексты из цикла «Housing in America» содержат много любопытных фактов и познакомят вас с американским образом жизни, отличительной чертой которого является стремление к свободе и независимости. 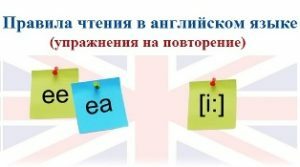 Тексты делятся на уровни: beginner — intermediate. Before 1800, the Midwest of America was Indian country. Then, the Europeans came. They did not like to move around or live in tepees. They were farmers and they wanted houses. The first European Americans, the «pioneers», were tough people. They came to a hard country. The summers were hot, the winters were very cold. On the prairies, there were no trees and no stones. There was only earth. So the pioneers cut pieces of grass and earth and built houses with them. These «sod houses» were very uncomfortable. The rain came in through the roof. Pieces of wet earth fell into food and onto the children’s beds. The pioneers worked hard on their farms to make money. 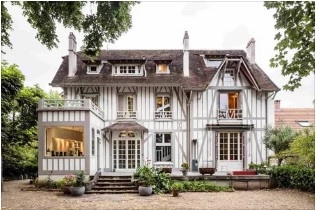 With the money they built bigger, better farmhouses with wood. No Americans live in sod houses now. It was easy in the Rocky Mountains because there were trees. 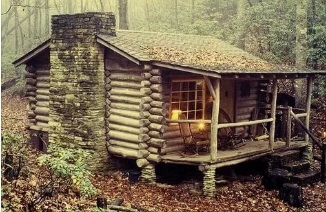 The pioneers could cut them down and make small wooden houses, called «log cabins». Log cabins were warm and dry inside. The people were poor, but they tried to make their homes comfortable. Pioneer women had no money, but they wanted nice covers for their beds. They could not buy them, so they cut up old clothes and sewed the pieces together. The beautiful bedcovers they made are called «patchwork quilts». Many American women still keep their grandmothers’ patchwork quilts, and they like to make new ones with the old patterns. Nearly all the Americans live in towns or cities now. And you can’t be a pioneer in Philadelphia or Chicago. But some people try. They like to go to vacation homes in the mountains, miles away from the cities. A real 200-year-old log cabin is best, but there are lots of new ones too. There, you can put your gun up on the wall above the fireplace. You can listen to the wind outside. You can talk about the bears and rattlesnakes. For two or three weeks you can be a pioneer again. What were the first European American like? How did the pioneers build their houses? Why were those «sod houses» very uncomfortable? What houses did the European Americans build when they made money? What houses were called «log cabins»? What did the pioneer women do to make their homes comfortable? Where do Americans like to go on vacations? Why? «Airstreamer» — автодом 1930 г. The great historic places of the Old World are cities, castles, and gardens. But in the New World, some of the most interesting historic places are the roads. Americans remember the great journeys of their history in movies, stories, and pictures. Their grandparents crossed America on horses and in wagons. But they don’t go in wagons now, of course. They go in mobile homes. Some mobile homes are pulled by the family car. Some, like Winnebagos, have a driver’s cab. Behind the cab there is a room with beds, a small kitchen, a table, a washing place. Winnebagos are great for vacations. A family can travel in the Winnebago, and stop at campgrounds to sleep and eat. They do not have to spend money on motels. In summer, the campgrounds in the national parks are full of mobile homes. American factories make new and better mobile homes all the time. Some of them are palaces on wheels. But the idea is not a new one. 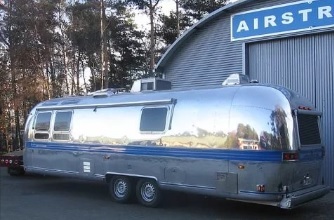 In 1930s, there were a large number of «Airstreamers» on the road. These wonderful old mobile homes looked like small space ships. They were made of shiny silver metal. Sometimes you can still see them out on the highways. Mobile homes are not good only for vacations. Many people live in them. Five percent of all American homes started as mobile homes, but many of them do not travel any more. They parked in trailer parks. People build on new rooms, and grow flowers and trees near them. Soon the mobile homes look like houses. The difference is that mobile homes are much cheaper than houses. Most Americans buy them. Americans like to move. They like to feel that they can leave town and go on, to a new place and a new life. They like to feel free. A mobile home feels like a ticket to freedom, even one that never leaves its trailer park. What are mobile homes like? Why do American factories make new and better mobile homes all the time? Why do many Americans live in mobile homes? What were the first ones? Why do Americans like to move? 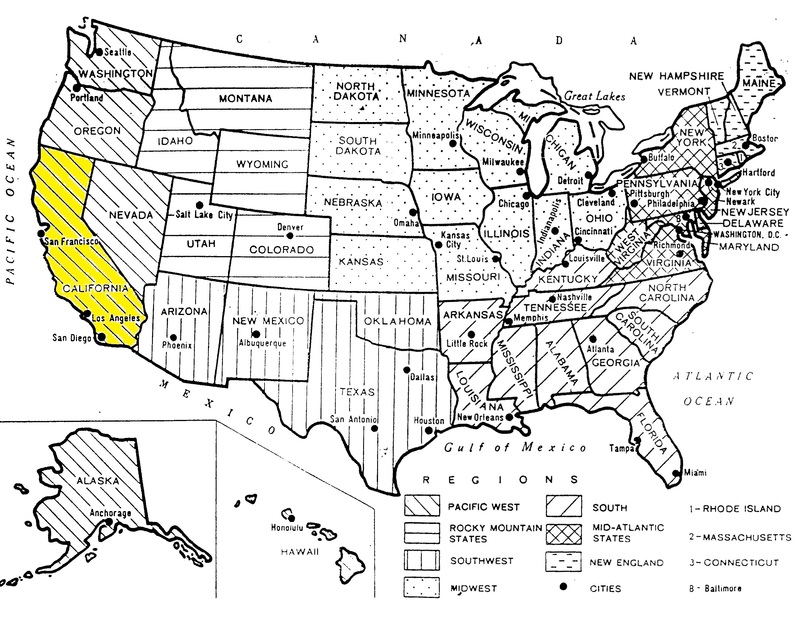 California is a state of America which is situated near the coast. It is famous for its long coast line and four national parks. Giant trees grow there. San Francisco is its biggest city. Why do so many ideas come from California? It must be something in the air. New lifestyles, new kinds of medicine, new religions, new house styles — so many new things come from California. For example, the Spanish style of a house. It’s popular in many places now. But it started in California. The old Californian «Spanish Mission» houses have thick white walls and round red roof. They are cool and comfortable. Inside, there are tiles on the floor and heavy wooden doors. Santa Barbara, a favourite Californian vacation town, is famous for its Spanish architecture. The story began in 1925. A big earthquake destroyed many of the buildings. After the disaster, it was decided that all the buildings in Santa Barbara must be in the Spanish style, with white walls and red roofs. Today Santa Barbara is one of the prettiest towns in the USA. Californians love the sun, and their houses show it. The old ranch houses copied the mission style. In the centre of the house was an open space, or «patio», with walls on two or three sides. Californians like the patio. They liked to live half inside and half outside. New houses today often have patios. People work, cook, sunbathe, and talk to their friends on the patios. New, modern houses all over the USA have copied the idea of the Californian patio. Some Californians ideas are not so easy to copy. Go up in an airplane, and look down at Los Angeles or San Diego. What are all those blue things next to the houses? That’s right. They are swimming pools. Not many people outside California can pay for their swimming pool in their own back yard. What are the Californian «Spanish mission» houses made of? What is Santa Barbara, a favourite vacation town, famous for? What is a patio? What do people do there? This entry was posted in America and tagged House & Home.